Several years ago I was doing social media for a conference with the hashtag #CelebrateScience. The hashtag was great and brought attention to funding for health research. It was also prone to being hijacked, and we were constantly using tactics to prevent others from using the hashtag to promote non-conference related content. Hashtags bring people together around a specific idea or theme. Save the Children and the American Red Cross are two organizations that have used hashtags successfully to draw attention to significant humanitarian crises and carry powerful messages through social media. These generally work well with national or international issues. Hashtags index on platforms like Twitter and are almost entirely decentralized. They are claimed by popular use, with no central person controlling the message. Because of this, they present marketing risks. If your hashtag campaign succeeds, you can hit it out of the park. If it fizzles, it simply fades into irrelevance. But what if it backfires? And what if someone else jumps on the opportunity to take advantage? There are two ways hashtags backfire: takeovers that become more popular than the original topic itself, and takeovers that backfire on the party attempting the takeover. This latter topic is perhaps the most interesting. Take Ann Coulter as a case study. 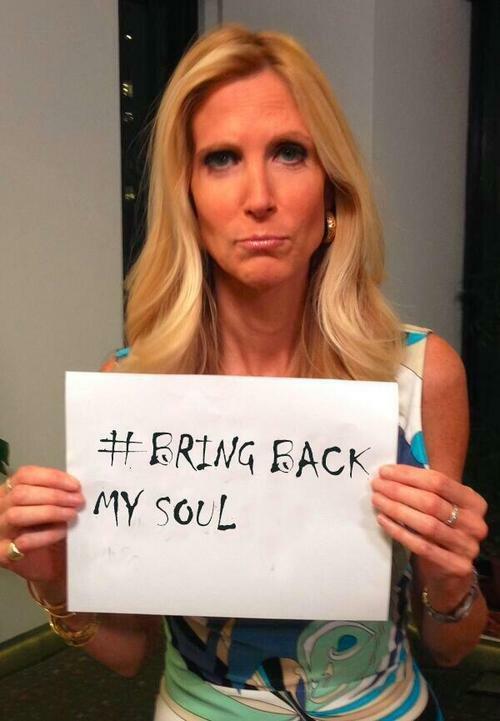 Somehow, Fox News commentator Ann Coulter decided that she should take advantage of the #BringBackOurGirls campaign that has successfully taken over Twitter to critique President Obama’s policies. This is the campaign where people take photos of themselves frowning while holding signs that say “#BringBackOurGirls.” The original campaign was intended to mount more pressure on the terrorists who recently kidnapped more than 300 girls in Nigeria. Your guess for what Coulter was thinking is as good as mine, but the response she got was perhaps most striking. Coulter’s original post featured the hashtag #BringBackOurCountry. The response was met with anger online. This is a sensitive issue that many people have developed an emotional bond with. The hashtag campaign is providing those who are concerned the opportunity to take a few minutes to be a part of something bigger than themselves; something of global importance. Given the global concern and feelings of personal connection with the issue, Coulter’s attempt was seen as a mockery. The response is predictable when you anger millions of young people who aren’t afraid of Photoshop. Although Photoshopped versions don’t have the same influence as Coulter’s original tweet, her case shows the dangers of taking on a digitally engaged generation of activists. For companies of any size looking to take advantage of big issues, there are some topics that are simply better to stay away from unless you can go with the flow and positively contribute to the conversation. National and international tragedies, humanitarian missions, and cases involving violence, terrorism, or extremist behavior are not opportunities for brands to build market share or online influence. There will always be exceptions, but making a calculated decision could save you from a predicament like Coulter’s. And remember, very few mistakes on the internet are ever truly erased when we want them to be. These can be permanent stains on a company’s reputation. They can also catapult a small, unknown brand into the national spotlight for all the wrong reasons.